What is a pre-purchase examination? 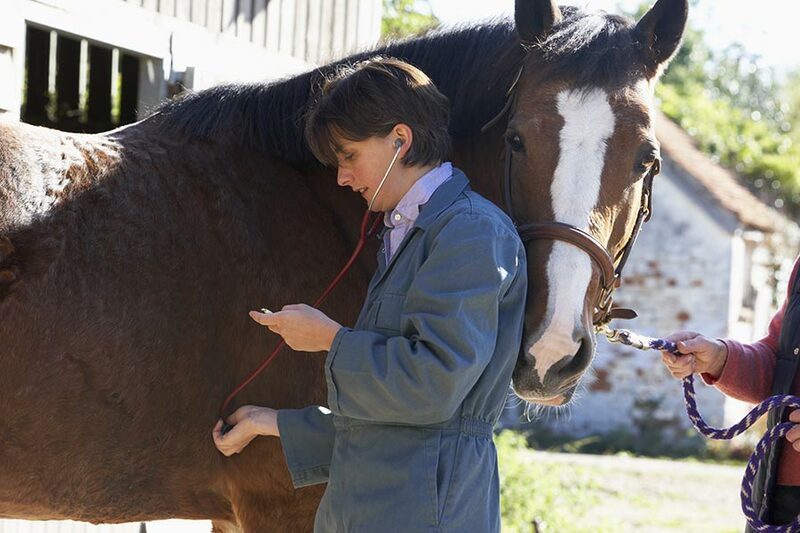 At its core, it is an examination to determine the current health status of a horse being considered for purchase. The controversy and problems, up to and including litigation, stem from misunderstanding concerning what the term “examination” means, the role of the seller, the role of the buyer, and the role of the veterinarian. The role of the buyer is to be explicit in the plans for the prospective horse. What is the horse going to be asked to do? What are the expectations moving forward if this is a performance horse? Does this horse have previous experience in the desired discipline? Does this horse have a history of medical problems, especially those that may impact performance or health? Will this horse receive the same level of care and husbandry as it has become accustomed to? All these, and many more questions, require answering as they can dictate the parameters of the “examination”. The buyer is responsible for the cost of the examination and is allowed to utilize the veterinarian of his/her choice. The owner’s role is to be as candid as possible regarding the history of the horse, past medical issues, and any behavioral concerns. Current husbandry, vaccination status, deworming status, and nutritional management should all be disclosed. The riding ability required for the prospective horse should be made clear. For example, if the horse passes “examination” but the buyer does not have the skills required to handle the horse, the transaction will ultimately be unsuccessful for the purchaser. The owner does not have the pre-purchase examination performed or should they recommend the veterinarian to be used. Whether the owner is present at the time of the pre-purchase examination should be determined ahead of the scheduled appointment. The veterinarian provides an objective evaluation of the prospect. Besides a standard physical examination, additional and more intensive examinations (eye, gastrointestinal, lameness, reproductive) might all be included based on the buyer’s goals in purchase. For example, a lameness examination may be a basic gait analysis, manual palpation of the joints for effusion, and evaluation of the hoof for conformation and integrity of the sole. A lameness examination, however, might also consist of flexion tests, analysis on a treadmill, radiographs, bone scans, and/or MRI. A reproductive examination can range from simply a rectal palpation/evaluation to uterine biopsy and culture. As many of these diagnostics can be very expensive, it emphasizes how important the expectations of the buyer be delivered to the veterinarian. The expense and intensity of evaluation does not necessarily parallel the purchase price of the horse but is dictated by the owner. It is not the veterinarian’s responsibility or role to tell the owner whether or not to purchase the animal being evaluated. Far from it, the veterinarian is to deliver objectively the results of any and all diagnostic and physical exam findings. He/she strives to distance himself/herself from any appearance of conflicts of interest. Based on the expectations of the owner, the veterinarian may emphasize areas of concern in his/her findings that might affect the future performance of the animal and possibly suggest additional diagnostics be performed. Ultimately, the buyer makes the decision to purchase or not based on all information gathered. Heading out of town for the holidays? Like many horse owners, your horse’s health, safety and wellness is top of mind when you are preparing to leave. Hopefully you already have a farm sitter lined up to care for your animals while you are gone. Before you go, here are a few helpful tips to keep in mind. The dry air associated with cold temperatures may cause your skin to be a bit itchy this winter. With all this scratching, you might wonder if your horse is susceptible to any seasonal dermatologic issues. Here are a few to keep a look out for. As always, if you notice any abnormality with your animal, it is always best to consult with your veterinarian for appropriate diagnostic and treatment recommendations. Fall is marching toward winter. With each passing day, the need to prepare barns and horses for winter becomes more imperative. Here are a few tips that can help make sure you are ready for winter. Six tips for keeping your senior horse healthy and ensuring a good quality of life. Helps support normal respiratory function and health. Promotes cartilage development and joint health at the immunologic level. A supplement for horses designed to help support a normal muscular state. A supplement for foals with targeted immunoglobulins that provide support from day one. Copyright © 2017 Vetoquinol USA. All rights reserved.